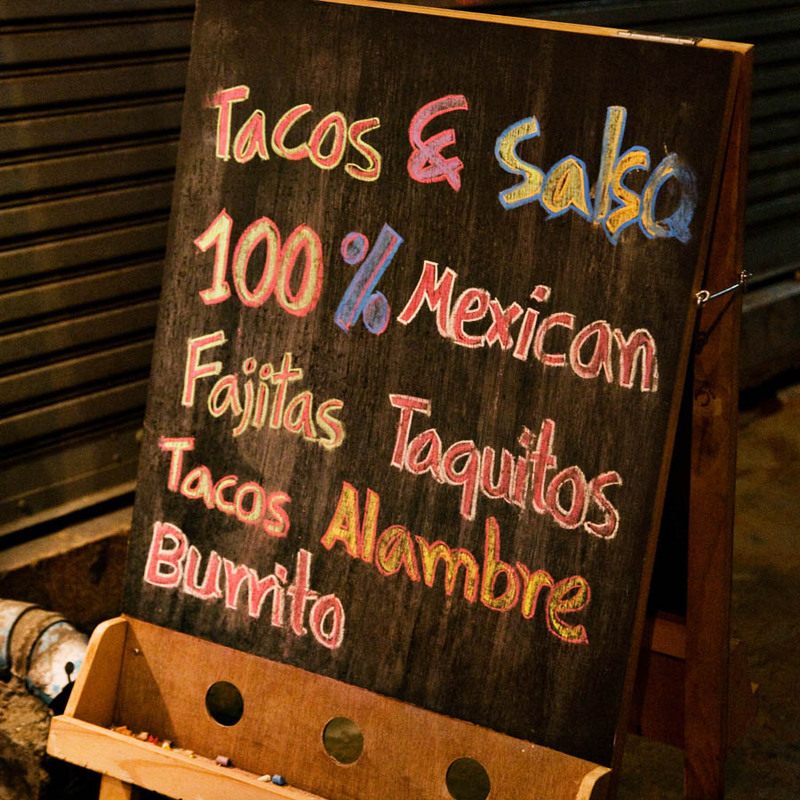 Tacos and Salsa joins Sunrise Tacos and Coyote Sukhumvit on foreigner friendly Sukhumvit road. 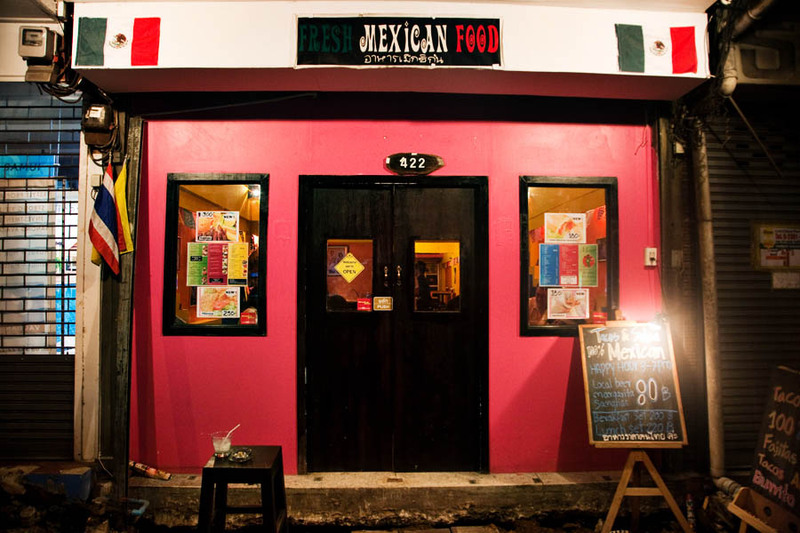 I’ve only visited once, but already I’m thinking this could be the best (authentic) Mexican food in Bangkok. The restaurant isn’t much to look at. In fact, if you don’t know where to look it’s possible to drive or walk right past it. If you take the BTS (skytrain) to the Phrom Pong station and walk back towards Dubliner, you’ll find it on the left a bit past Dubliner. The outside looks less than ideal… largely due to the sidewalk construction currently underway in the area. When you step inside you find a simply decorated restaurant with few tables. 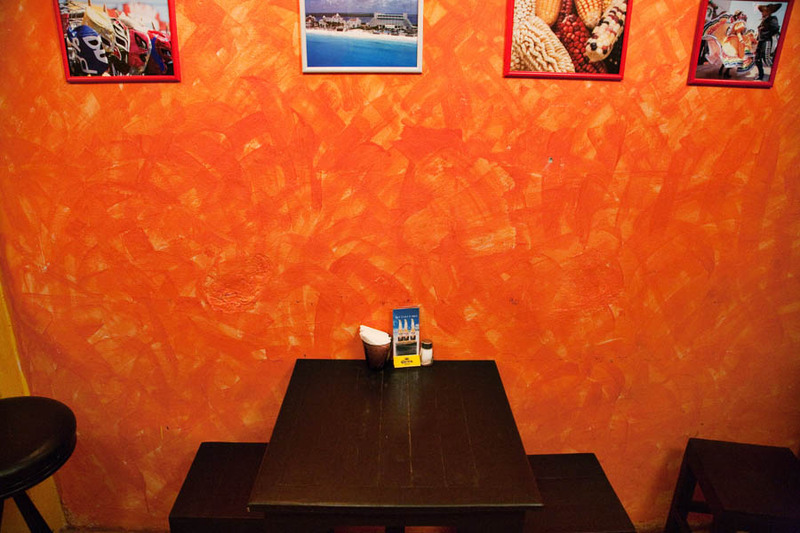 The walls are painted in the obligatory Mexican restaurant faux-stucco and lined with varied pictures of corn (we call it Maze), Mexican life, and even lucha libre wrestlers. The food is simple and all around 200 THB. Not the cheapest in town, but worth it. I shared the Enchiladas with green sauce (a good green sauce but not up to New Mexican green chile) and Tostadas (nice addition of grilled onions). The plating lacks originality, but the flavor is there. For me the restaurant wonderfully captures the dive Mexican restaurants I grew up with in Texas. 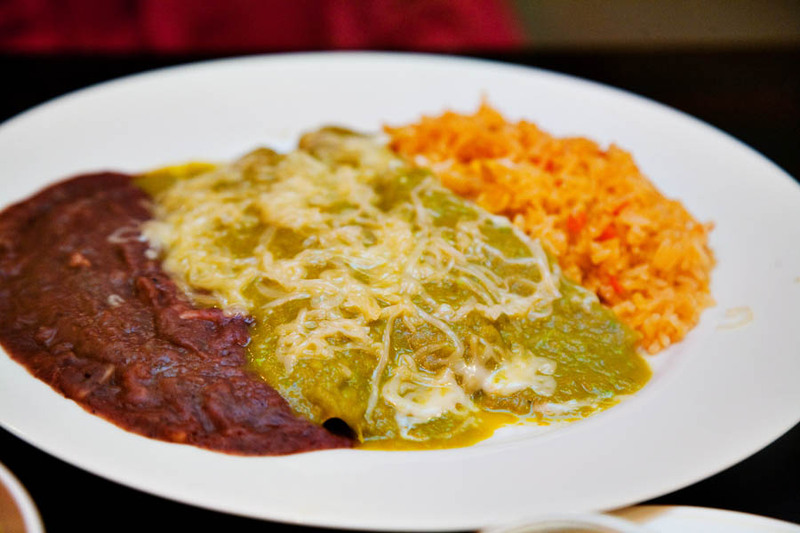 I don’t mean dive in a bad way… more the low on aesthetics but high on taste restaurants from the best mom and pop eateries scattered throughout west Texas. 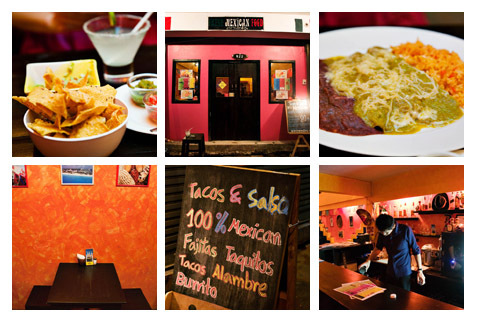 I’d recommend Tacos and Salsa to anyone in Bangkok looking for a good meal of Mexican food. There’s cheaper options and restaurants with better interiors but T&S seems to be the best combination of both. 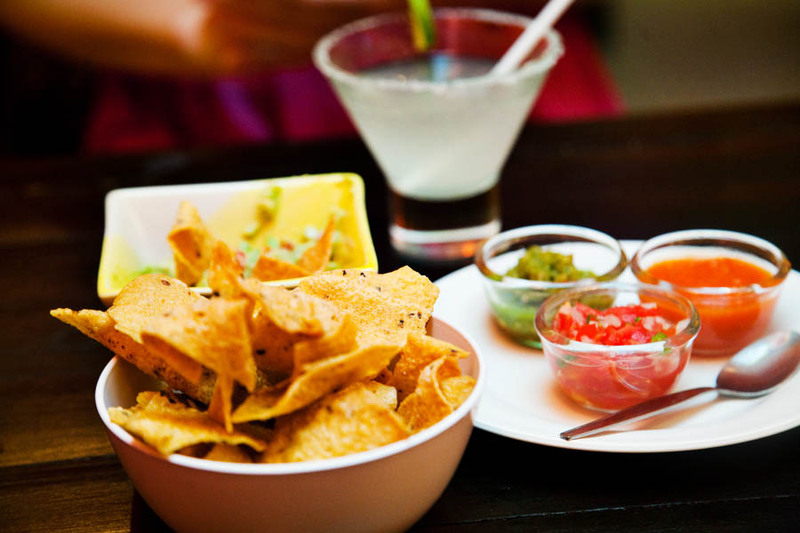 I’ve also heard good comments about Tacos & Salsa, not having tried it myself unfortunately. Next time you should try Mamacita’s next to Dream Hotel on Sukh 15. The owner is really nice and I thought the food was pretty good and around the same price as T&S I’d say. Not the cheapest in town. Im staying near Asok BTS, there’s a newly opened Mexican restaurant near the black swan. Los Cablos, friend recommended it although i’m a little hesitant on eating mexican in BKK..